Volumetric Filling and Packaging Machine, Mechanical system. External protection and feeding device. 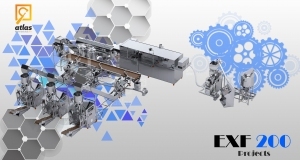 - Production capacity: From 8-18 packed items per minute. makes it easy to adjust and calibrate. - Screen: which can control the increase or decrease of the weight. - Shapes of packing: is a three-sided welded pad. - The packed item's length: 25-50 cm. - Equipped with sealed shutters made of stainless steel (304) a German model. to control the required weight. -All electric parts are from SCHNEIDER French made and LS Korean made. can be done in three languages English, Arabic, and Turkish. machine reservoir to operate automatically. -The air thermal heaters isolation 220-volt, Turkish origin. sophisticated and very precise and separated from the control panel. numbered in the electric panel with a German numeral system. -The machine is provided with cutting knives, heaters and spare parts. Gearbox: is from I-mak a Turkish origin. which is made of (stainless steel 304) and a capacity of 100 kg. - The machines are equipped with a 3-lines waxed date printer. 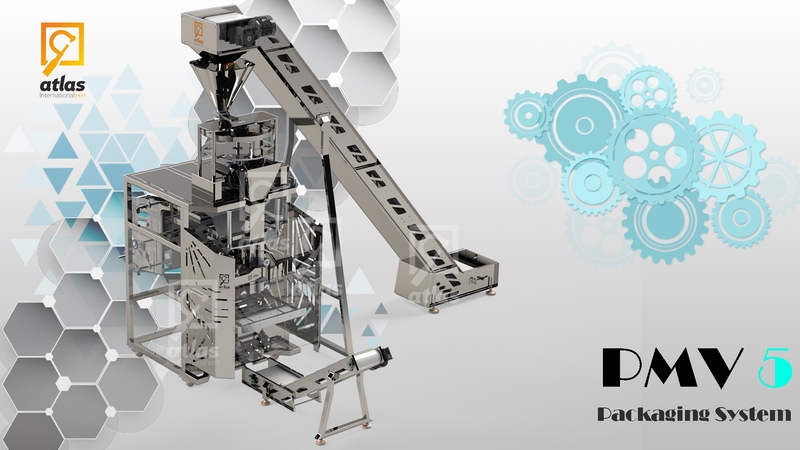 PMWF 70 Multihead Weighers 0.10 -1 kg / Chips -Snacks- Nuts -Dry fruit-Candies-Dates ...etc.